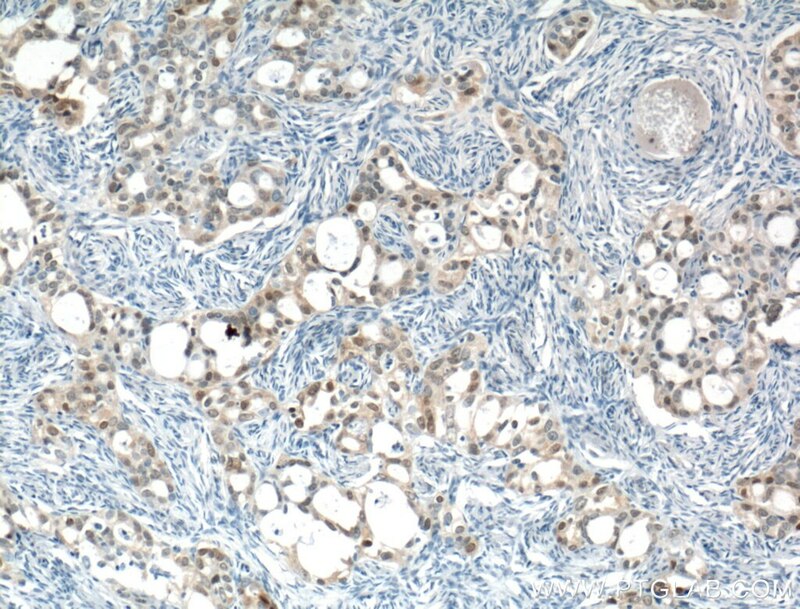 Immunohistochemical analysis of paraffin-embedded human ovary tumor tissue slide using 66468-1-Ig( CRABP2 antibody) at dilution of 1:500 (under 10x lens) heat mediated antigen retrieved with Tris-EDTA buffer(pH9). 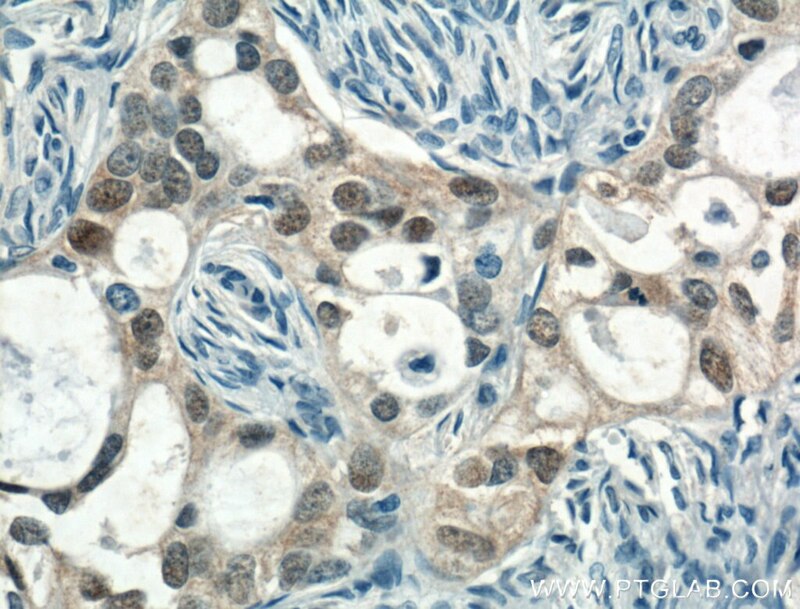 Immunohistochemical analysis of paraffin-embedded human ovary tumor tissue slide using 66468-1-Ig( CRABP2 antibody) at dilution of 1:500 (under 40x lens) heat mediated antigen retrieved with Tris-EDTA buffer(pH9). Cellular retinoic acid binding protein 2 (CRABP2, synonyms: RBP6, CRABP-II). A number of specific carrier proteins for members of the vitamin A family have been discovered. Cellular retinoic acid binding proteins (CRABP) are low molecular weight proteins whose precise function remains unknown. CRABP2 is important in retinoic acid-mediated regulation of human skin growth and differentiation. It has been postulated that the CRABP2 gene is transcriptionally regulated by a newly synthesized regulatory protein. The reviews below have been submitted by verified Proteintech customers who received an incentive for providing their feedback. 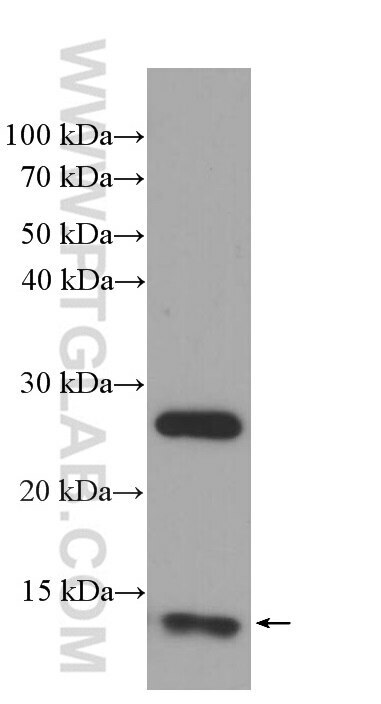 We use this antibody on porcine chondrocytes lysate, 1/1000 dilution.